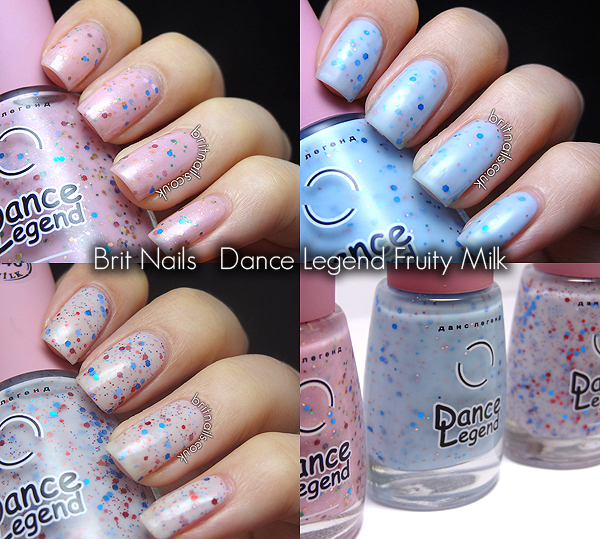 I've got swatches of some of the gorgeous Fruity Milks from Dance Legend today! 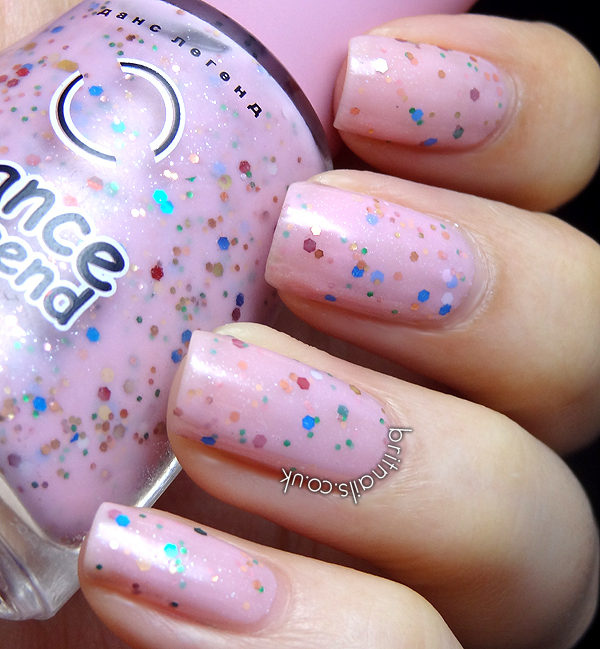 I first wrote about Dance Legend polishes back in April, when I reviewed their Thermo range which I was really impressed with! 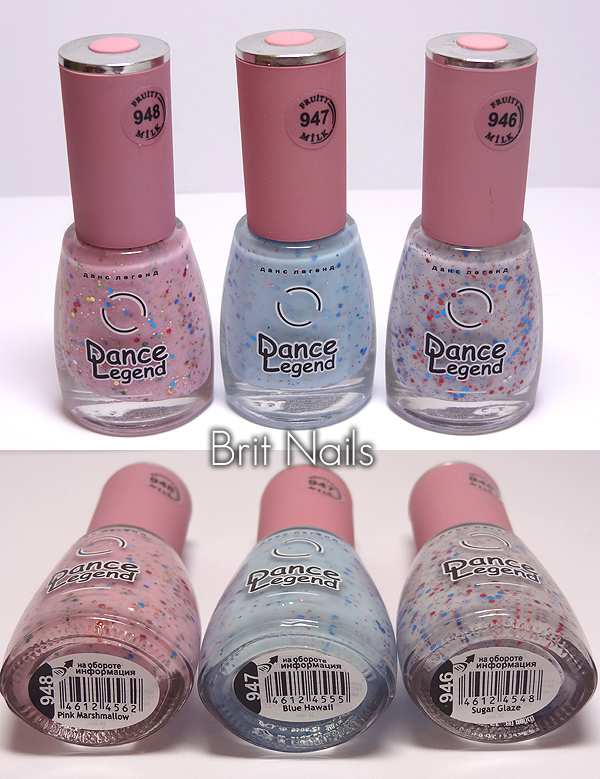 Today I've got 3 polishes from another of their ranges, Fruity Milk. These remind me quite a lot of indies! They're packed with different sized glitters in a milky base. I was a bit worried they wouldn't be useable on their own without a solid base colour first, but they are! 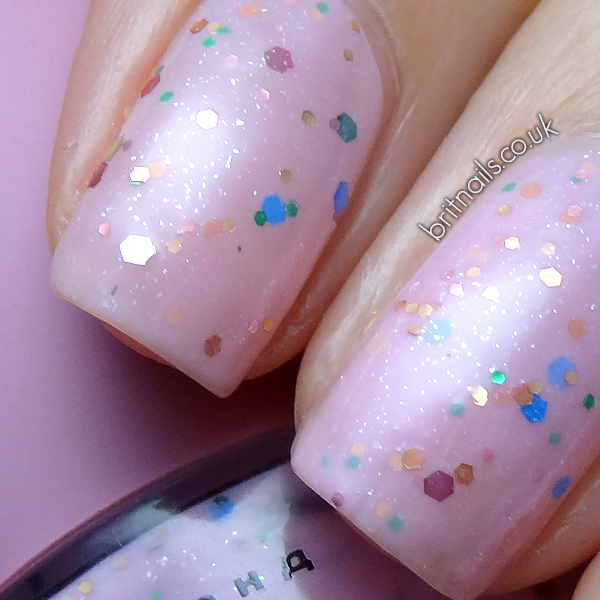 The milky base is quite sheer but they're so easy to build up, the formula spreads so easily and there's no clumping at all, I barely even needed a top coat. Sugar Glaze is my favourite. 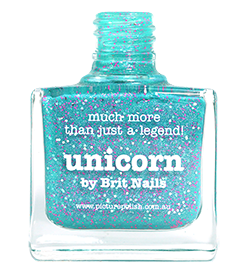 It's a sheer, creamy white base with different sized blue and red hex glitter. I used 3 coats for this one. The formula on these is really great, I'm in love! What do you think? I have 3 more from the Fruity Milk collection coming soon! Follow Dance Legend on Facebook for updates! Pls, tell me: have long have you been waiting for the parcel from DL? I waited a long time, probably over a month!